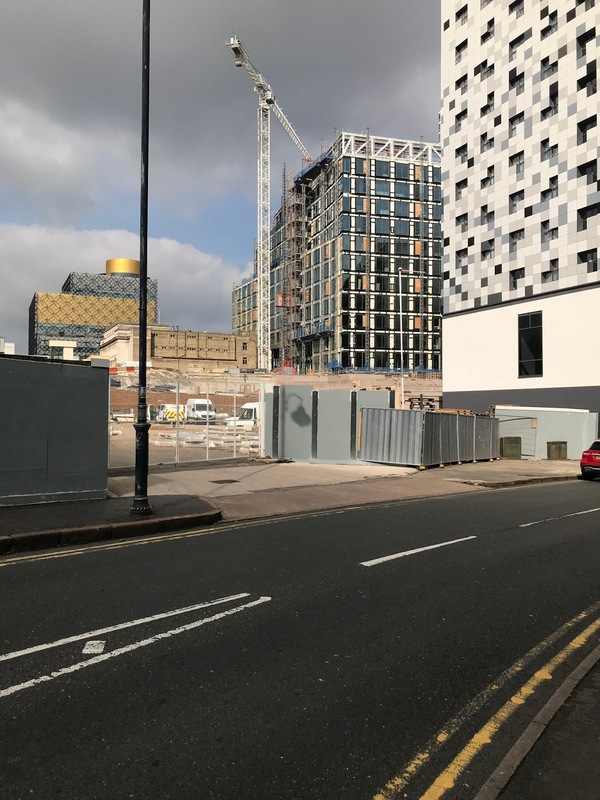 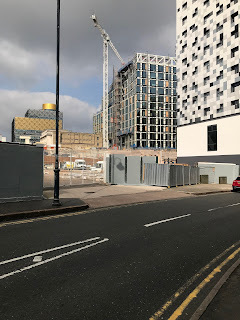 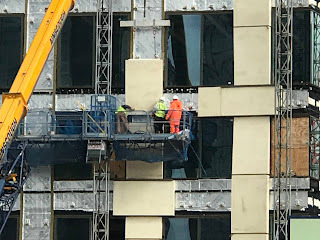 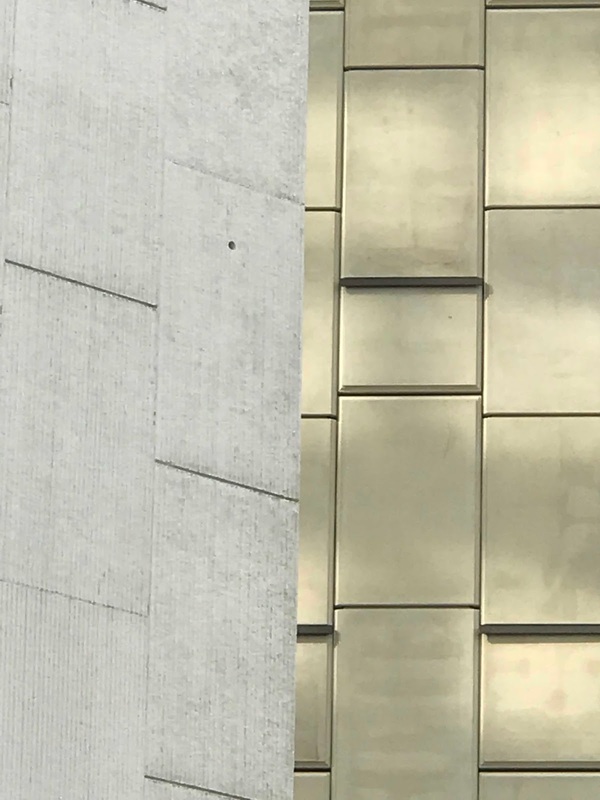 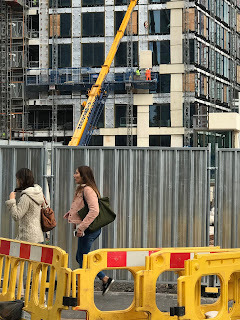 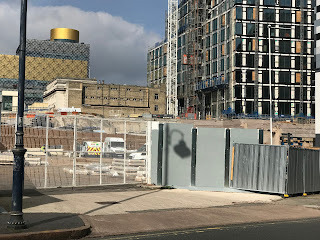 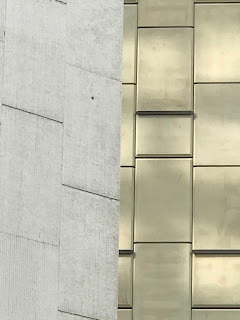 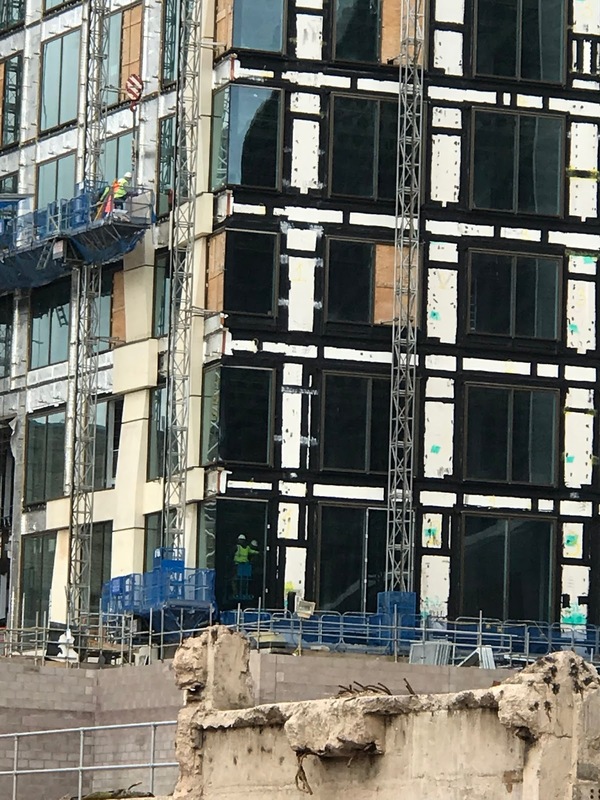 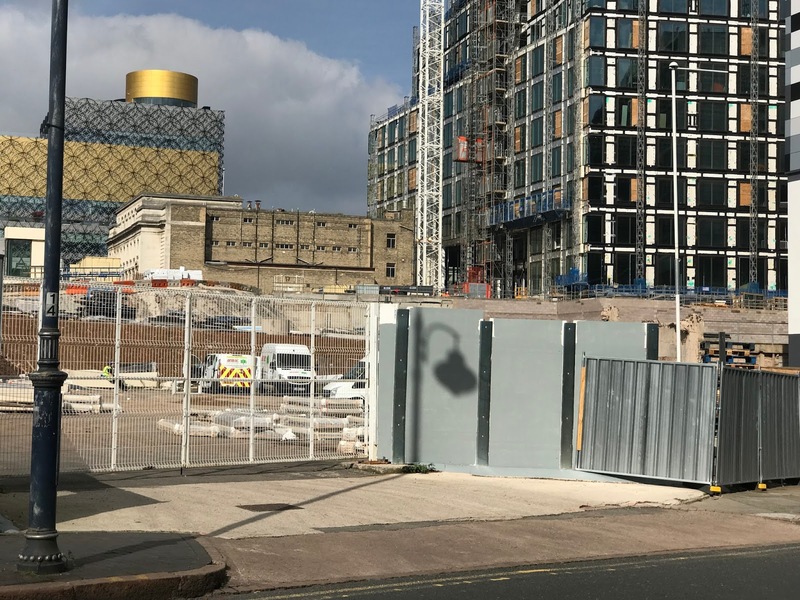 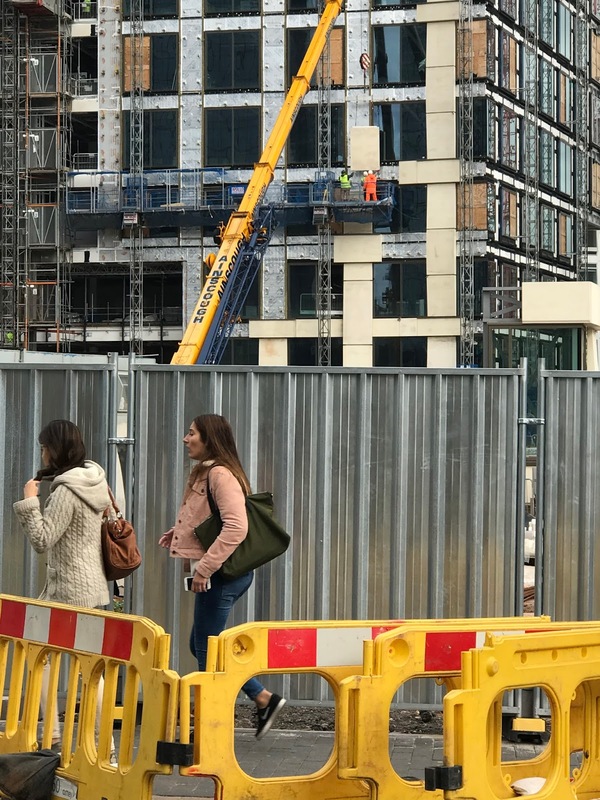 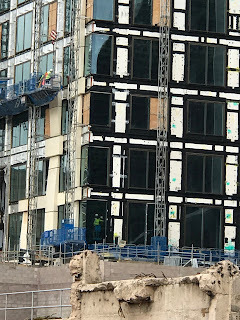 Two months ago I noted the cladding ribbons starting to be fitted on the exterior of the new HSBC UK headquarters at Arena Central, https://birminghamcentral.blogspot.co.uk/2017/09/hsbc-birmingham-hq-construction-update.html. 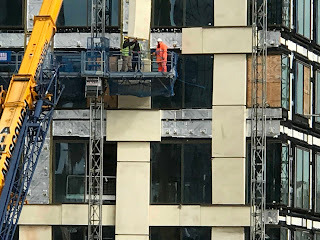 Since then the cladding is starting to wrap up the exterior literally. 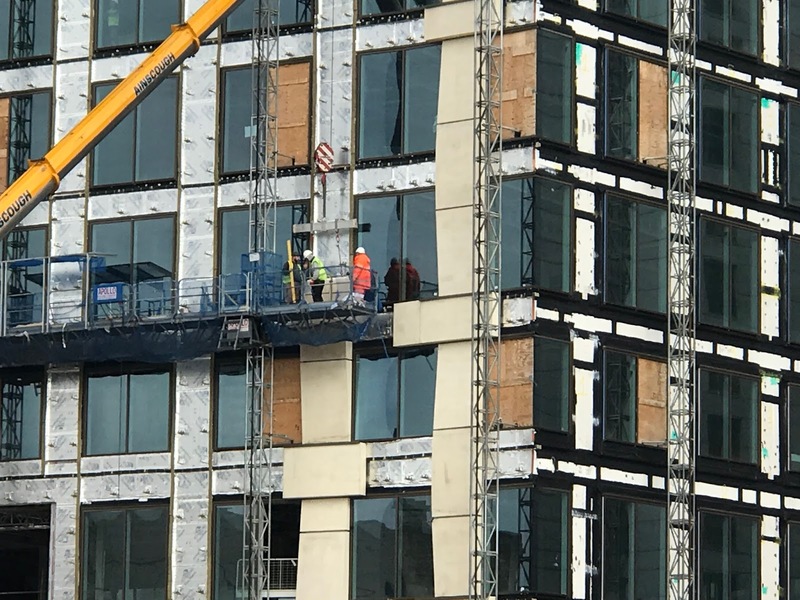 Galliford Try who built the £66m 220,000 sq ft office block were awarded the £20m fit out contract in September 2017. Galliford Try will now complete the Category B fit-out of the building including provision of power and data systems and furnishings. In addition, teaching spaces including auditoriums are being created on levels one and two of the building. 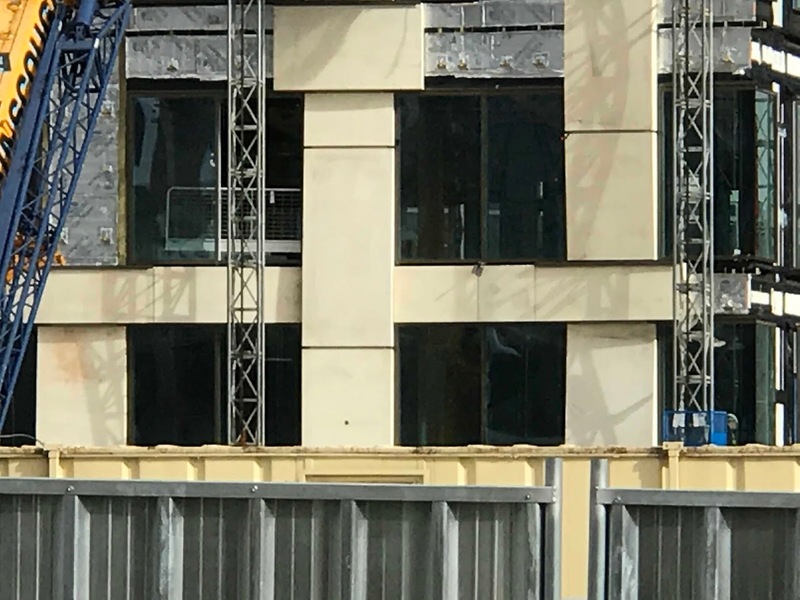 The offices are expected to eventually accommodate over 2,000 staff. 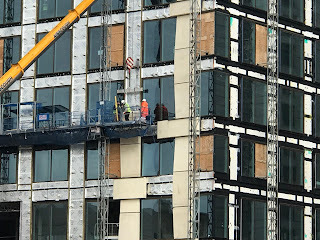 The following photos show the construction of the new HSBC UK headquarters.